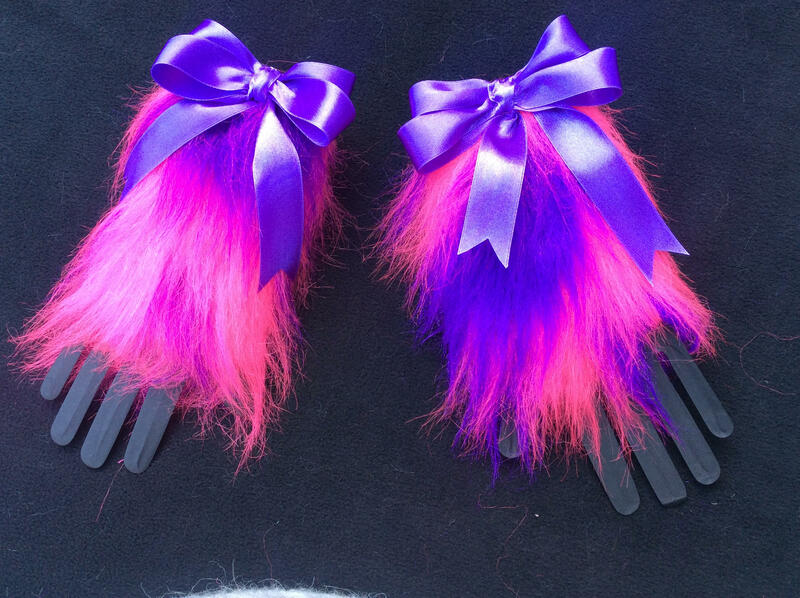 Luxury Handmade Purple frenzy Kitten Cuffs With Purple Ribbon. The Cuffs have a Elasticated Top For Easy Use Of Wear. The Cuffs Are 5" In Length, And Covers The Palm And Half Of The Fingers. Other Lengths Or Colours Of Cuffs Can Be Made. 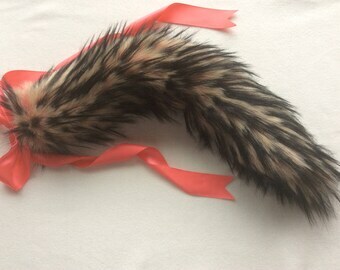 I ordered an ears and tail set a little while ago and we had a hiccup with the delivery! Lou Lou was very responsive and remade and sent them again! I was so surprised to get sweets included and a little toy mouse 😭💖 The ears and tail are of amazing quality too and just so so cute! I'll definitely be buying again! Thank you so much!